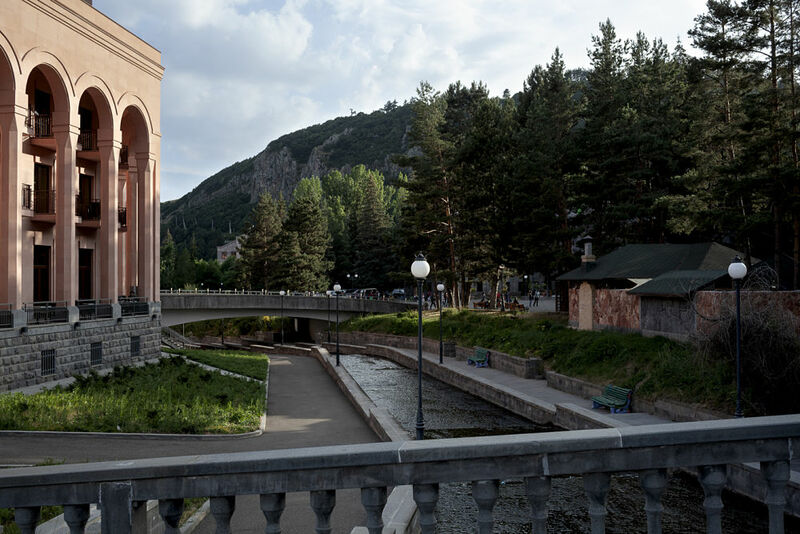 The last settlement before the road ends at the foot of the Vardenis Mountain Range, the remote spa town of Jermuk in Armenia has been a popular destination since Soviet times. Its name literally meaning ‘warm mineral spring,’ there are two significant industries in town: water and tourism, both of which are under threat. With developers Lydian International proposing the use of cyanide as part of the Amulsar Gold Mine Project, an extractor chute is already feeding dust and sludge from land with naturally occurring acid drainage into the expensively built Kechut Reservoir. 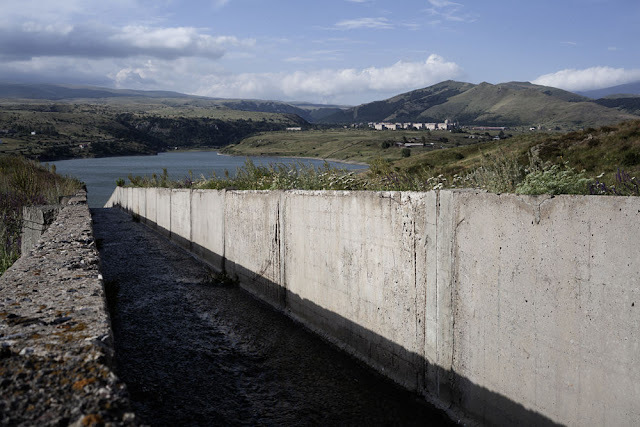 Despite the fact that this body of water feeds Lake Sevan, the largest freshwater body in the Caucasus, Lydian denies any impact on the environment in this deeply interconnected ecosystem. It is against this backdrop that Jermuk and the Vayots Dzor Province have become the unlikely heartland of protests which are proving a significant test to the populist credentials of Nikol Pashinyan and the new government. 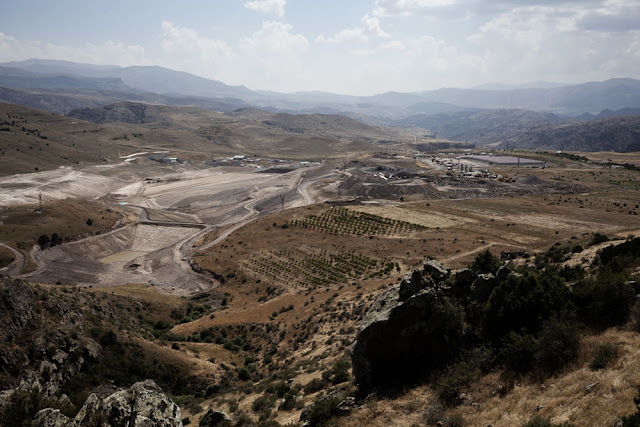 Whilst Armenia has long been prone to barely regulated mining by opaque multinationals, emboldened by the Velvet Revolution in May, locals in Vayots Dzor have been blocking access to the Amulsar site since mid-June 2018. Investors in the murky company behind the project are getting twitchy. With subsidiaries in eleven countries including the U.S. and Canada, numerous reports suggest that Lydian is threatening to sue the Armenian Government for breach of contract. 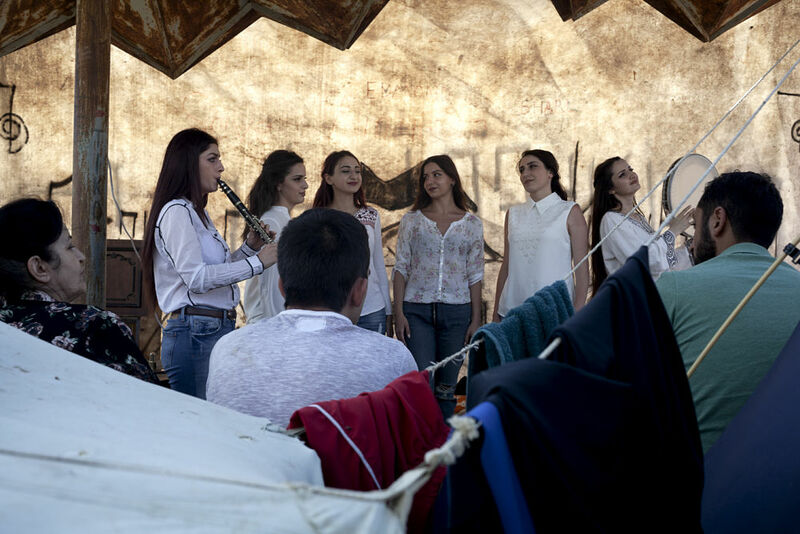 "Depending on expediency, Lydian declare themselves under different jurisdictions," Anna Shahnazaryan from the Armenian Environmental Front, one of the nation’s main networks of ecological activists told IndraStra Global. "At one time, they were British, at another point they were a U.S. company, now they’re Canadian. They’ve also looked to engage rich Armenians living abroad who’ve become their ambassadors in a way because they bought shares in the company". "When the Lydian project was first registered in 2005-6, the geological survey undertaken was for the mining of silicate. It wasn’t until 2008-9 that they began surveying for gold. Applications were submitted piecemeal; the first to mention cyanide came in 2012. A lot of money was spent on placing articles in international business journals claiming Amulsar would be the largest mining project in the world. Now, the project is licensed for 70 tonnes with a gold content of 0.7 grams per tonne of rock. It’s very scattered gold, something they’d never have mined in the Soviet period." Located thirteen kilometers from Jermuk, Gndevaz serves as a nerve center for the protests. At 1,600 meters above sea level, this is prime apricot country, contradicting Lydian’s claim the region is poor and desperately in need of jobs. An official population figure of 829 for the village belies the fact that many former residents claim they were offered a choice between selling their land to the company or having it expropriated for ‘public need.’ As with its office in Jermuk, premises set up to represent the Amulsar Gold Mine Project have now long since been unmanned. The Lydian website claims that as of April 2018, 1,460 people including casuals, 464 of them from surrounding communities were employed by Lydian Armenia and its contractors. "This mining company state a lot of things that are difficult to verify," Shahnazaryan told IndraStra Global. "The number of workers they say they have, for example, just isn’t true. The figure is the accumulative number they’d have at the peak of their activities. They’ve used very effective strategies of buying the local communities, though. They became very active in 2012 when they submitted an Environmental and Social Impact Assessment [ESIA]. They started campaigns under the guise of social programmes or sustainable development. We’re talking about the rural communities, not the town of Jermuk. This is one of the disputes we have; that the local public never gave their consent to the project". "The bigger story here, though, is about how the company got its licenses and the motivation they have, which is to bring the state into international arbitration to profit from the dispute. The Jermuk bottled water plant is their winning card because they want to take this whole thing in a direction where they’ll try to prove that the state is defending a local company against a foreign investor, and that goes against trade and investment bilateral agreements. Effectively, they’re trying to blame a local guy, spreading conspiracy theories about dark forces – always Russia in the Armenian context - that are against them, against the Western investor. What’s fascinating about this resistance is that their systems are collapsing because of disobedience from within. Contractors approach us and give us information. Some have quit their jobs and are on the blockades." 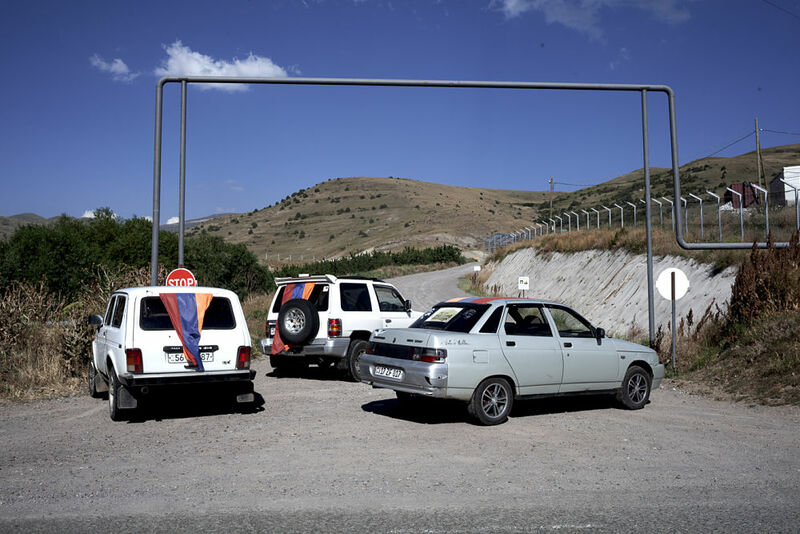 "Jermuk and this area is a very closed society, so it’s normally difficult to push these people towards civic mobilization or realizing their civil rights," Tehmine Yenoqyan, a Yerevan based journalist originally from Gndevaz who’s been following the story for years told IndraStra Global. "The revolution and the example that Nikol Pashinyan set showed that change is possible through peaceful means. It was only after the revolution that locals started to believe they could win. Lydian was engaged with the former government through various corrupt schemes. That this new government has declared one of its priorities to be eradicating corruption gives us hope. The fact that this company is registered in an offshore zone, though, has always made it difficult to identify who the beneficiaries of this project are." Among the investors in Amulsar are Sweden’s State Export Credit Corporation and Agency, the Swedish arm of Sandvik, a global mining corporation, ABB Switzerland, the European Bank for Reconstruction and Development, Ameriabank, an Armenian bank which is the recipient of large loans from the IFC, the U.S. concerns Resource Capital Funds LP, Orion Mine Finance and Franklin Advisors Inc., and the U.K. based Amber Capital LLP. The current President of Armenia - a largely ceremonial role - Armen Sarkissian is a former Director of Lydian and a friend of Britain’s Prince Charles, who despite espousing environmental ideals has lobbied on behalf of Lydian during his visits to Armenia. Under the old government, the police would have dispersed the protestors at the blockades in a signature heavy-handed fashion, but now, despite requests from Lydian - who claim to be losing half a million dollars a day – the new regime has refused to do so. In this sensitive political situation in the aftermath of the revolution, the 'people’s government' are in a bind which has prolonged the standoff, caught between defending the rights of those who swept them to power and the threat of international investors withdrawing in their droves from the already stagnant Armenian economy. With parliamentary elections set to take place on December 9th, the government has promised to reach a decision on the future of the Amulsar project based on the findings of a new ESIA in early 2019. Bland, S.M, Richter, K., "Protests at Amulsar Test the New Regime in Armenia", IndraStra Global Vol. 4, Issue No: 11 (2018), 0060, https://www.indrastra.com/2018/11/Protests-at-Amulsar-Test-New-Regime-in-Armenia-004-11-2018-0060.html, ISSN 2381-3652.